Unless you got yourself at least a Mercedes-AMG C63, you won’t be able to enjoy the Panamericana grille for the C-Class. 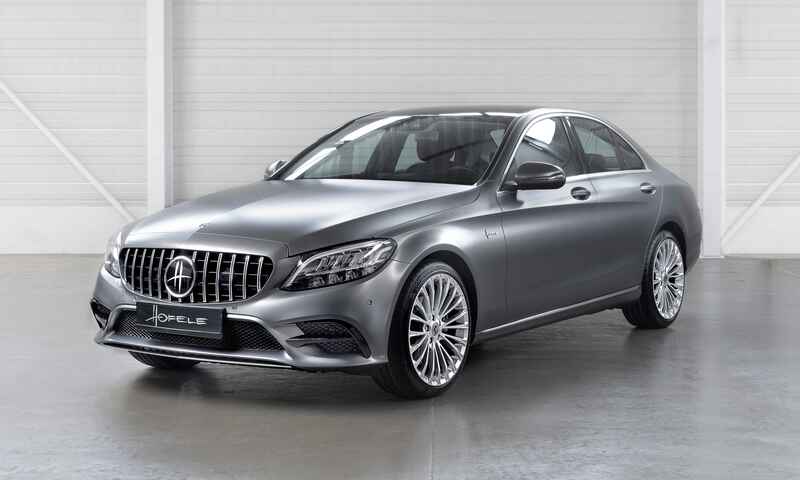 However, owners of the standard Mercedes-Benz C-Class can now get to enjoy the sporty vertical slats design for their cars’ fascia because Hofele-Design just released their new Pan-Amerikana styling package for it. The Pan-Amerikana program of Hofele is inspired by the Panamericana race in Mexico which was won by a Mercedes-Benz 300SL in 1952. The grille styling of the iconic car is carried to the standard C-Class, similar to the treatment of the range-topping AMG cars. 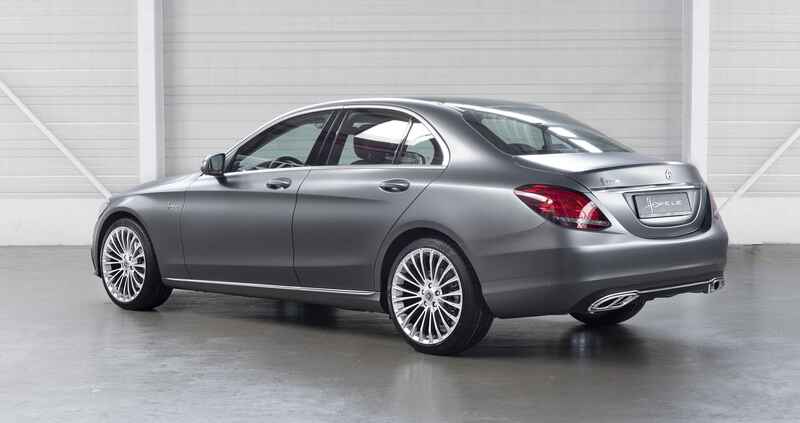 The aim of Daimler’s contractual partner is to provide the lower trim C-Class cars an “above the standard” look. Hofele’s Pan-Amerikana package includes a set of 19-inch alloy Hofele Mythos wheels wrapped in 225/40 x 19 tires. It also has a selection of carbon, gloss black, body color or chrome for its front bumper. 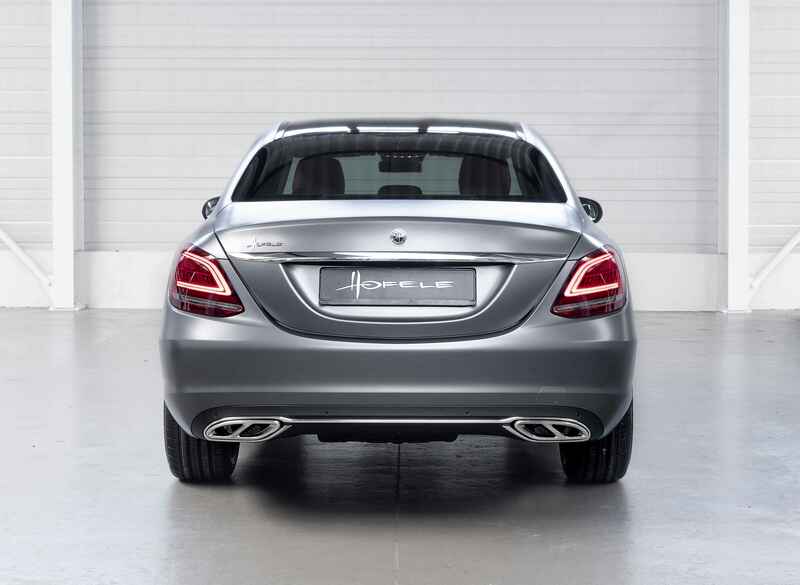 Furthermore, it adopts the trapezoid-shaped quadruple exhausts of the AMG C63. Of course, the C-Class is made more distinct with the Hofele badges replacing the three-pointed star logos of Mercedes. The example in the photos below shows a C-Class customized by Hofele featuring a gunmetal matte finish with contrasting black roofing. 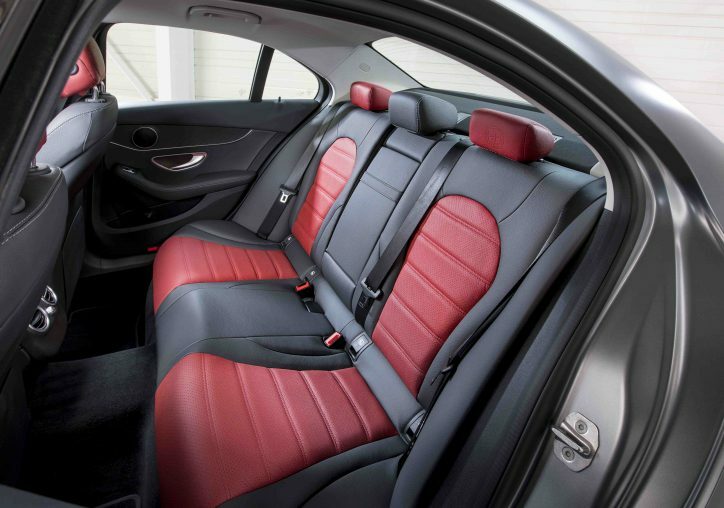 The interior of the car has a two-tone theme as well, thanks to its Alcantara leather seats adorned with “Flamenco red” inserts. 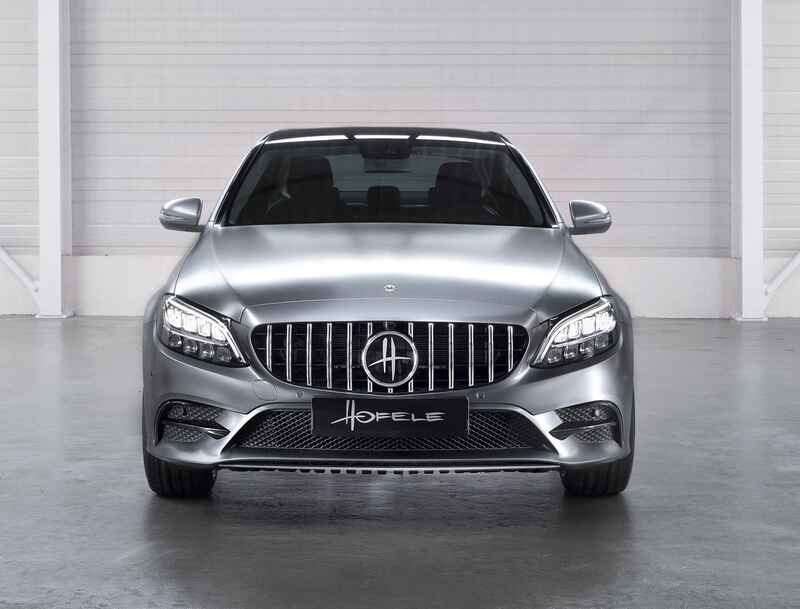 It should be noted that customers are free to personalize the appearances of their C-Class with the various configurations offered by Hofele. Therefore, the chances of having a C-Class Pan-Amerikana on the road with the same look are slim.